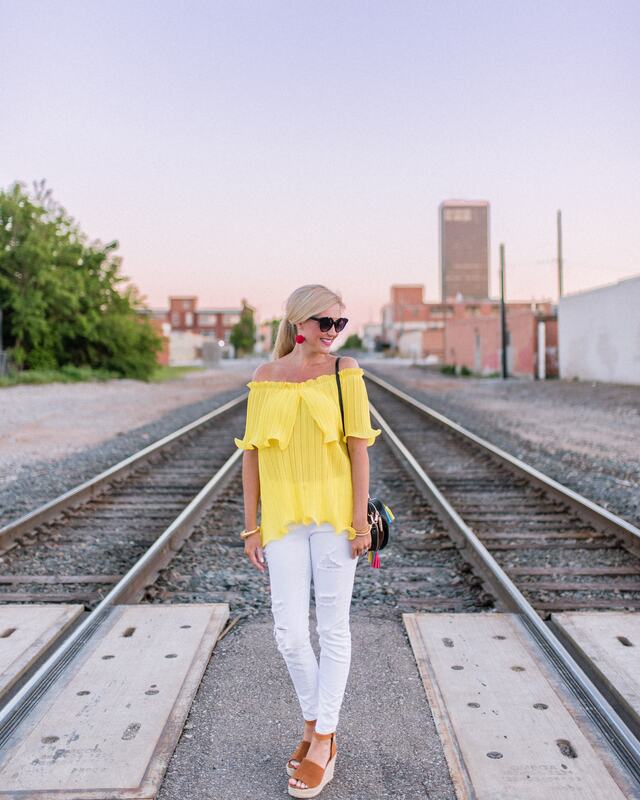 LOVE this adorable pleated off the shoulder top! It’s only $18 and comes in 10 colors!!! There are so many cute options! 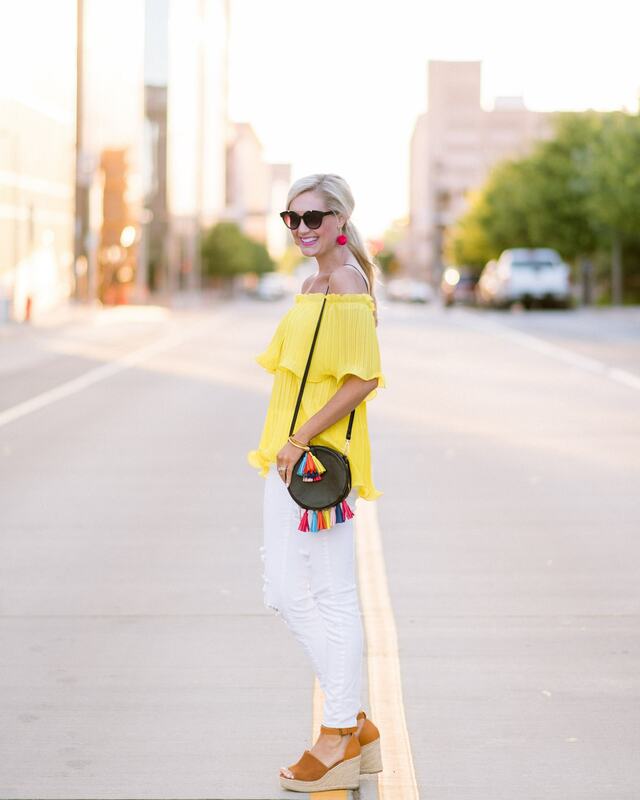 SheIn always tends to run small, so I sized up to a large in this top. 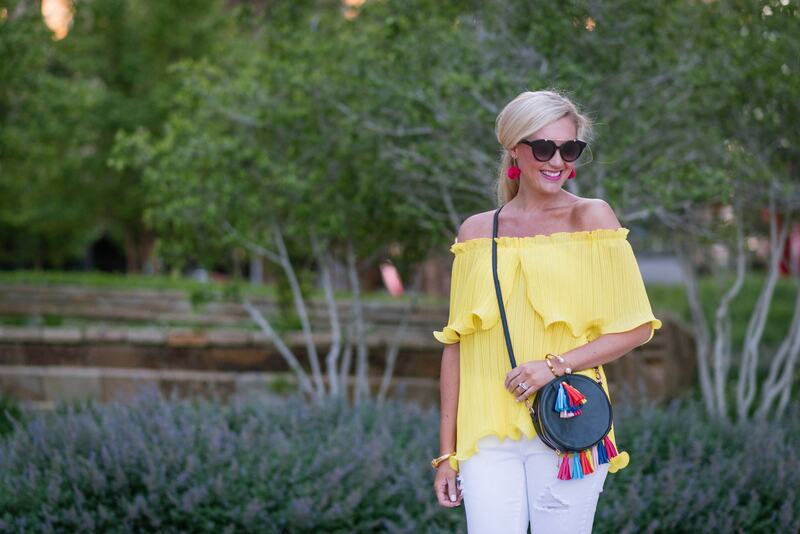 I paired this frill top with some white jeans and the cutest tassel purse. 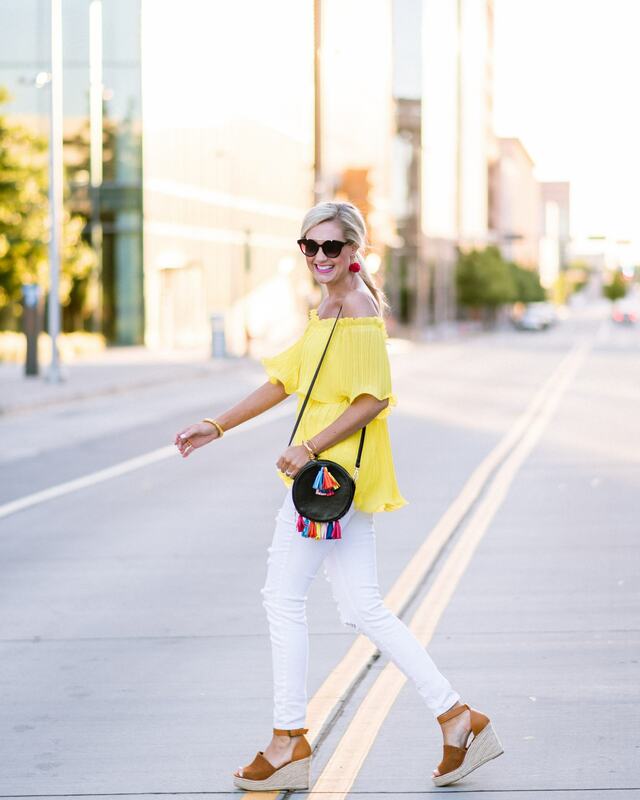 This cross body is only $25 and has the most adorable rainbow tassels. 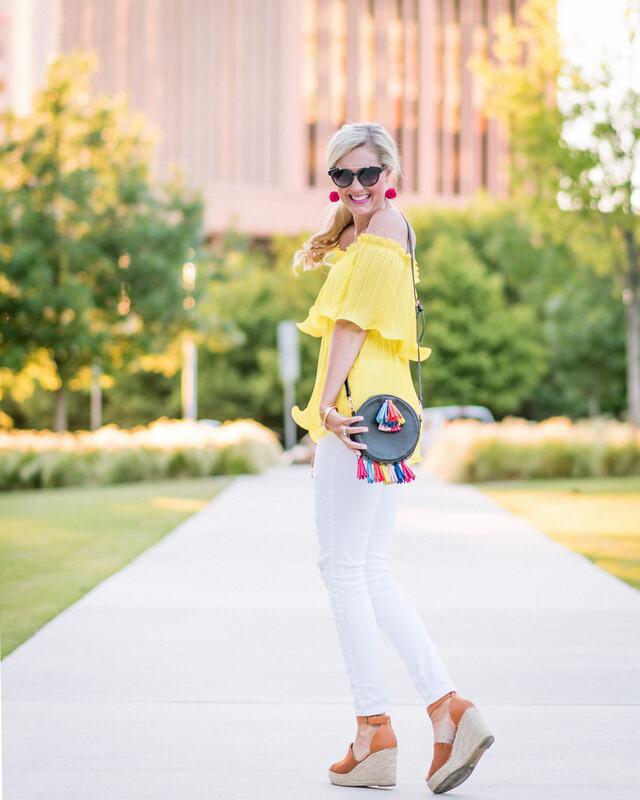 It’s the perfect addition to any summer outfit! 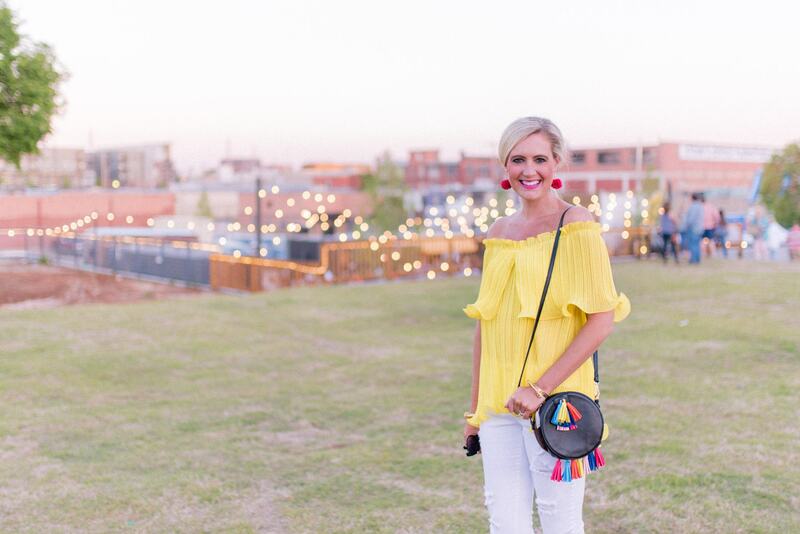 I also linked some of my favorite earrings from J. Crew and BaubleBar on the SHOP THE POST above.